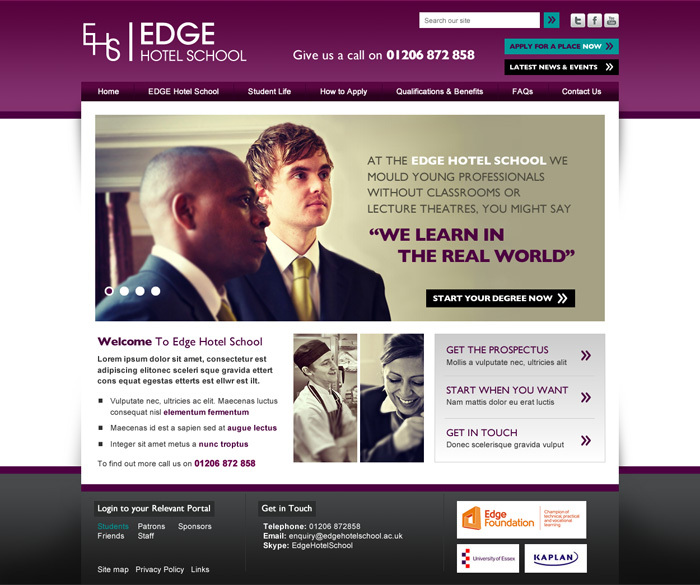 Edge Hotel School offer two year BA (hons) degrees in both Hotel and Culinary Management. 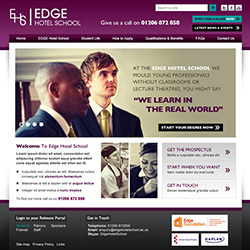 It is the first of it’s kind in the UK to offer training based in a fully operational hotel. Unfortunately intakes are down this year and it is believed that this is due to the increase in tuition fees, a lack of brand awareness and (since it is less established) a lack of heritage. This web design concept was part of a pitch and is still under development. As part of the brand re-fresh I created this logo to present to the client. An interlocking symbol is formed from the initials ‘EHS’. 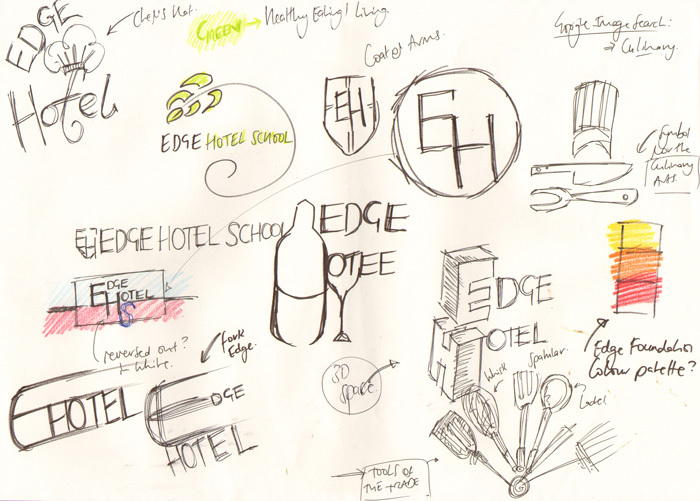 This sketch shows my initial exploration into the brand tone of voice, colourways and iconography.